Analysis: Slay was listed as questionable with the ankle issue that cropped up this week, but it was reported earlier Sunday that he was expected to play. The 27-year-old should see some matchups with Larry Fitzgerald, but the Cardinals and rookie QB Josh Rosen haven't shown a consistent passing attack this season. Analysis: Slay was a mid-week addition to the injury report after the ankle issue limited his participation in Thursday's practice. He repeated the activity level Friday, which will apparently be enough for the Lions' top cornerback to gain clearance for Week 14. 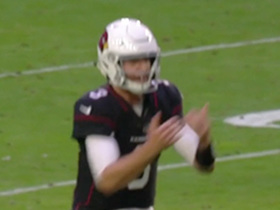 Slay may not be in store for too busy of a day against a Cardinals offense that has thrown fewer than 30 times in four of quarterback Josh Rosen's nine starts. Analysis: Slay was added to the injury report Thursday as a limited participant due to the ankle issue. The fact the 27-year-old was still able to practice in some capacity bodes well for his availability Sunday, but his game status is still worth keeping an eye on heading into the weekend. Analysis: Slay has dealt with a knee injury throughout November and even logged one absence along the way, but the All-Pro cornerback will be available against a Bears offense without Mitchell Trubisky (shoulder). On the season, Slay has managed 26 tackles and two interceptions across nine outings. Slay (knee) is listed as questionable for Thursday's matchup with the Bears, Tim Twentyman of the Lions' official site reports. Analysis: Slay practiced in a limited capacity all three days this week and even played through this injury Sunday against the Panthers. Those factors make it seem likely that Slay will suit up in the Lions' Thanksgiving matchup. If the Mississippi State product doesn't play, however, DeShawn Shead and Teez Tabor could have increased roles. Slay (knee) doesn't carry an injury designation into Sunday's matchup with the Panthers. Analysis: Slay missed the Lions' Week 10 loss to the Bears after playing through the injury in Week 9. The 27-year-old practiced in a limited capacity Wednesday and Thursday before wrapping up the week with a full practice. That will be enough for Slay to slot back in as the Lions' top cornerback, resulting in reduced roles for DeShawn Shead and Teez Tabor. Slay (knee) has been ruled out for Sunday's contest at Chicago. Analysis: Slay played through a knee injury Week 9 against the Vikings but has been unable to practice in the interim. He does have a medical history with his knee, undergoing arthroscopic surgery to repair a meniscus as a rookie in 2013. The severity of the current concern is unknown, but Slay will yield his starting cornerback spot to DeShawn Shead as long as he's sidelined. Slay (knee) was absent from practice Thursday, Tim Twentyman of the Lions' official site reports. 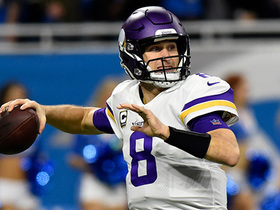 Analysis: There were no reports following Sunday's game against the Vikings that Slay picked up an injury, so this news is certainly concerning. In fact, it is Slay's second consecutive day of missed practice, which doesn't bode well for his Week 10 availability. The Lions will make the official call later in the week, but if Slay can't go, DeShawn Shead could see an increase in snaps. Slay complied three tackles and an interception during Sunday's 24-9 loss to the Vikings. 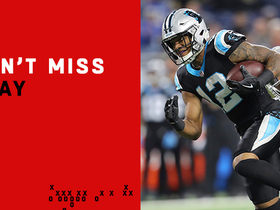 Analysis: Slay earned his second interception of the year when he picked off Kirk Cousins on a ball intended for Adam Thielen in the second quarter. 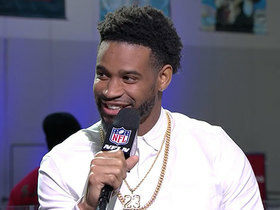 The 27-year-old cornerback has 22 tackles and seven pass defensed on the year. Slay (knee) is active or Sunday's game versus the Vikings. Analysis: Slay avoided missing his first game of the season. Since Stefon Diggs (ankle) is inactive, it's likely Slay is locked onto Adam Thielen for a good chunk of this contest. Slay has 19 tackles, five pass breakups and one interception through seven games this campaign. Slay (knee) who is listed as questionable for Sunday's game against the Vikings, is expected to play, Adam Schefter of ESPN reports. Analysis: Slay was added to the Lions' injury report Friday after being limited by the knee issue in practice that day. 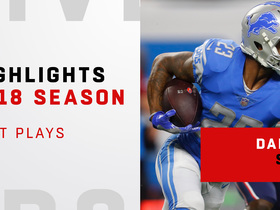 It appears the injury isn't a significant concern, so the Lions' top corner should be ready to handle a heavy snap count as he looks to slow down the NFL's leading receiver, Adam Thielen (925 yards in eight games), in Week 9. Slay (knee) is questionable for Sunday's game against the Vikings, Dave Birkett of the Detroit Free Press reports. Analysis: Slay popped up on Friday's injury report with a knee injury and was a limited participant in practice. The severity of the starting cornerback's injury remains undisclosed, but Slay could be a game-time decision for Sunday's divisional matchup against the Vikings. If Slay were to miss any time, DeShawn Shead would enter the starting lineup. Slay (toe) was a full participant in Thursday's practice, Tim Twentyman of the Lions' official site reports. Analysis: Slay was limited with his toe injury Wednesday, but he appears to be past the issue. He should be expected to see his typical role Sunday, barring an unforeseen setback. Slay was a limited participant in Wednesday's practice due to a toe injury, Michael Rothstein of ESPN.com reports. Analysis: Slay briefly exited Detroit's Week 7 win over Miami with the injury, finishing the day with five tackles and a pass breakup. 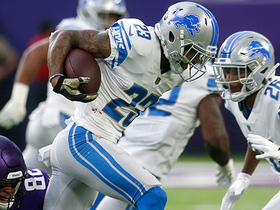 Given that Slay was able to return to that game and was able to practice in a limited fashion for the Lions' first session of Week 8, it doesn't appear the cornerback is any legitimate danger of missing Sunday's matchup with the Seahawks. Slay recorded one interception and one pass defensed across 48 defensive snaps in Monday's win over the Patriots. 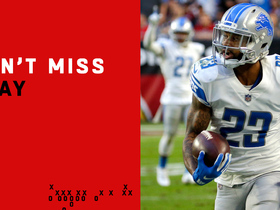 Analysis: Although he failed to record a single tackle in the contest, Slay did manage a classic "big play" when he intercepted Tom Brady midway through the fourth quarter on the Lions' 15-yard line, essentially thwarting any chance of a Patriots' comeback. 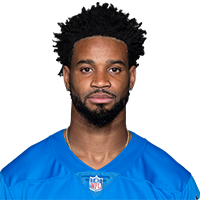 Slay (concussion) is active for Sunday's game versus the Patriots, Tim Twentyman of the Lions' official site reports. Analysis: Slay received clearance from the concussion protocol over the weekend, paving the way for an appearance. There's always the risk of aggravation, but he'll slot in as the Lions' top cornerback, likely lining up against one of Chris Hogan or Phillip Dorsett. Slay has cleared the NFL's concussion protocol, but it remains uncertain if he'll be available to play Sunday against the Patriots, Adam Schefter of ESPN reports. Analysis: While Slay has put the head injury behind him, the fact that he managed only one limited practice prior to clearing the protocol could make the Lions hesitant to use him Week 3. The team will presumably wait until after Slay takes part in warmups before rendering a decision on his status shortly before Detroit releases its inactive list 90 minutes prior to the 8:20 p.m. EDT kickoff. If Slay can't go, Teez Tabor and Nevin Lawson would likely act as the Lions' starting cornerbacks. Slay (concussion) is considered questionable to play in Sunday's game against the Patriots. Analysis: Slay continues to nurse a concussion suffered in Week 2, but managed to log a limited practice Friday after being sidelined to begin the week. It seems likely that Slay will sit out Sunday's tilt, in which case Teez Tabor and Nevin Lawson would share snaps at the left cornerback position. Slay (concussion) was absent from Thursday's practice, Michael Rothstein of ESPN.com reports. Analysis: Since leaving the Lions' Week 2 loss at San Francisco with a head injury, Slay hasn't made any noticeable progress through the concussion protocol, a reality that caused Rothstein to speculate he "probably" won't be active Sunday night against the Patriots. The Lions have signed DeShawn Shead in the event Slay is unable to play, but Teez Tabor and Nevin Lawson figure to handle the primary cornerback reps in his absence. Slay (concussion) didn't participate in Wednesday's practice. Analysis: Slay was diagnosed with a concussion after exiting the Week 2 loss against the 49ers and will need to clear the league-mandated protocol in order to suit up Sunday against the Patriots. If the cornerback is able to practice in some capacity Thursday or Friday, it would create more optimism about his prospects of playing this weekend. Slay suffered a concussion and is ruled out for Sunday's game against the 49ers, Dave Birkett of the Detroit Free Press reports. Analysis: The Lions will remain without their top defensive player for the remainder of Sunday's contest. Dee Virgin will serve as Detriot's starting left cornerback as long as Slay remains sidelined. The 27-year-old will work to clear the league's concussion protocol in time to suit up against the Patriots in Week 3. Slay recorded 60 tackles, eight interceptions, 26 PBUs and one fumble recovery across 16 games in 2017. Slay recorded five tackles, all solo, three pass defensed and two interceptions in Saturday's win over the Bears. Analysis: Slay left the game early to get tested for a concussion but returned to the field shortly after and still managed to log 66 defensive snaps (96 percent). Slay now has a league-leading seven interceptions, which was enough to get the cornerback elected to his first Pro Bowl on Tuesday night. He'll now be tasked with shutting down A.J. Green in Sunday's game against Cincinnati. Slay has avoided a concussion and re-entered Saturday's game against the Bears, Justin Rogers of The Detroit News reports. Analysis: Slay exited earlier in the contest to be evaluated for a concussion but is apparently clear of symptoms. 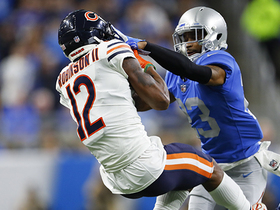 The Lions' top cornerback is available for the rest of Saturday's game in Detroit. Slay left Saturday's game against the Bears to be evaluated for a concussion, Tim Twentyman of the Lions' official site reports. Analysis: Slay lasted just three plays before he had an evaluation in the sideline tent and went to the locker room. With the nature of his concern known, the Lions will follow the protocol for head injuries before making a decision on whether a return is possible. In the meantime, D.J. Hayden will line up at cornerback with the first unit. Slay recorded six tackles, two defended passes, one interception and one fumble recovery during Sunday's 24-21 victory over Tampa Bay. Slay recorded five tackles, three PBUs and one interception during Sunday's 38-24 victory over the Browns. 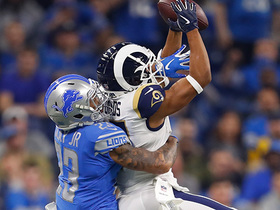 Los Angeles Rams wide receiver Robert Woods jumps for the ball to beat Detroit Lions cornerback Darius Slay for tough 19-yard catch. Chicago Bears wude receiver Allen Robinson makes a contested catch with a defender all over him. Chicago Bears quarterback Chase Daniel throws down the sideline to wide receiver Allen Robinson, who turns around and backpedals to catch a 29-yard pass.